Gifting a postcard to a friend is a wonderful way of sharing your thoughts. 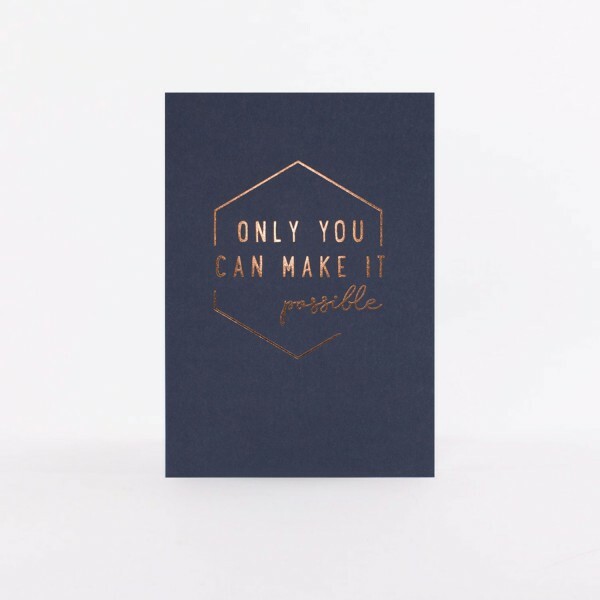 If the card comes in a gorgeous dark blue and copper design, you might want to make yourself a little gift, too. Add new motivation to your life and your walls.